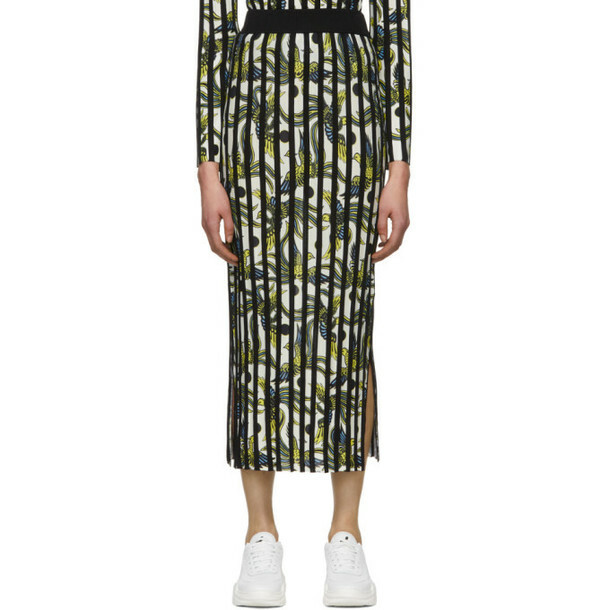 Knit viscose-blend skirt in white featuring graphic pattern in tones of yellow, black, and blue throughout. Ribbed detailing in black throughout. High-rise. Elasticized waistband. Vented side-seams. Tonal stitching.